The only piece that I have created specifically for an art museum was Credo in Us, commissioned by Mills College, which premiered on September 22, 2011 at the Mills College Art Museum. Already in place in the museum was an exhibition by the artist Frances Stark employing 12 or so video projectors (as well as some drawings created directly on the walls). The configuration of the museum was daunting at first: 10 or so walls crisscrossed the space, creating a spatial configuration, which was uncommon to say the least! Where to actually dance and where to seat the audience? The great fun of working within such an extreme limitation of space meant for some problem solving to occur. I worked with videographer Patrice Scanlon; she stationed six or so live camerapersons around the space to film the dance to feed into the 12 video projectors of the Stark exhibition. 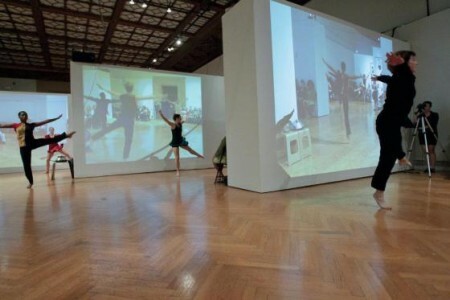 If one dancer were performing in a part of the museum not visible to a particular viewer, that dancer’s image would be projected onto a nearby wall that was visible. Live-fed images of the dancers at far ends of the space then were visible juxtaposed to the live dancers who were right in front of each viewer. The dancers traversed through the space, sometimes in front of the projections, sometimes hidden by the partitions. Other than Credo in Us, I haven’t really made a work just specifically for presentation in a museum. In 1989, The Floor Dances with sculpture by Richard Long was performed at the Whitney and then later at the Dia Foundation – there the sculpture demarcated the space not the museum’s walls. A section of Trace was performed at MOMA in 1997 in the lecture auditorium but I wasn’t able to use either the actual painting of the décor or a projection; the museum was not set up for that. Most of my collaborative works with visual artists have taken place in the theater. For Trace, a painting by Roy Fowler was lit from above casting a shadow of the painting on the floor. The dance traveled (traced) down the length of the shadow and across its width. I am presently reconstructing two works – Witches’ Float with sculpture by Kiki Smith and music by Alvin Lucier (1993), and The Floor Dances with sculpture by Richard Long and music by Henryk Gorecki (1989). For Witches’ Float, Kiki made three sculptures: there was a “floating” witch, a witch inside of her cocoon (mold) and a standing witch which was a plaster cast of me. I was dressed in a kind of white Hindu dhoti with red body paint on my torso, neck and face. All these many years later in wanting to reconstruct the work, only two of the witches can be found in Kiki’s storage. And so the piece becomes a work with two witches! Although I did not create specific works for visual art spaces, I have made many works in collaboration with visual artists, where the art was a very integral and affected and shaped the stage space changing the spatial orientation of the dance. For example, for a piece Nullarbor, I worked with the artist Richard Long, who constructed a long line of river stones from the top of the stage to the bottom of the stage. The dance took place on only one side of the stage. The dance never crossed the stones, only dancing laterally against the vertical line of the stones and sometimes dancing down the line. The stones acted as a barrier (thus the title Nullarbor, the limestone plateau along part of the southern coast of Australia with its dramatic cliff drop into the ocean). In another work, Sightings made with artist Tatsuo Miyajima, there was a large, ambient, flickering LED structure hung across the back wall of the stage, creating a ghostly presence and changing the space psychologically. With more public programs and performances taking place within museum and gallery walls, what are the current priorities for presenting dance in this architecture? I don’t usually show my work in museums, as there are often not appropriate spaces for dance, museums tend to have lecture hall spaces. Now museums are thinking about performing arts in a new way. In the old days it was hard to find a museum with a danceable area. 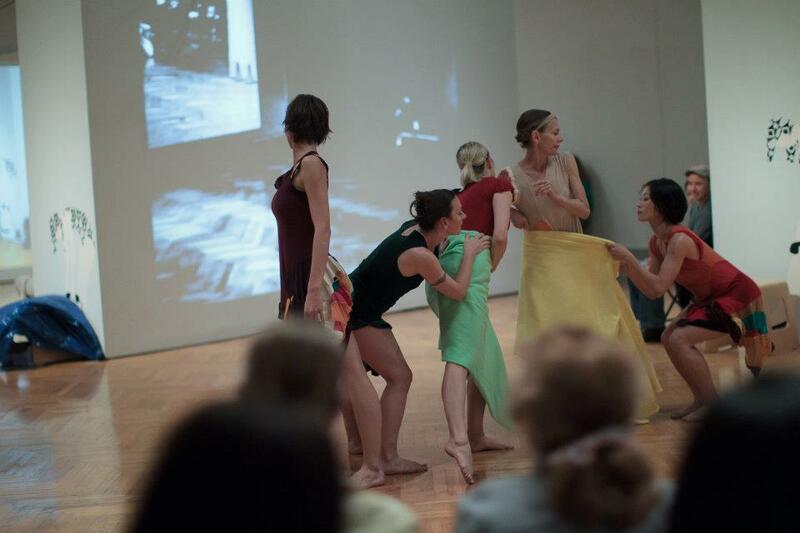 Presenting dance in a museum makes a dance experience part of a museum experience. Dance in museums makes it a free event. A terrible thing about dance is the financial aspect – audience members paying for a ticket and choreographers paying for the union and other fees. If museums could get adequate means (i.e., the space is appropriate for dance, there is good lighting, etc.) then this would work. The problem is that museums often have cement floors and dancers need soft wooden floors, warmth, and other necessities. Dance in a museum is dance as art form and not as entertainment. Each audience member in effect could have a different experience of dance. It is a very different experience to go to a dance show than it is to go to the museum. Dance is often secular, separate from one’s artistic life. It becomes a separate way of art, the act of dancing and seeing dance – but dance in a museum makes it relate on a deeper level of an art form. How can movement function in a space designed for another kind of art and a different mode of looking? In a museum space the dance would always be seen in relation to the art – everything is relative, how can it not be? Art pieces dictate what dancers can do in terms of space. A psychological tone of space is also set by the art. Anything a person does in a museum situation with a painting or a sculpture that person is seen in relation to that object. Not just as color or representation of that object, but that object enters the colors and space of what that dancer is doing. Space and scale also are affected. For example, a huge Richard Serra sculpture in the space makes the dance seen in and against the magnitude of the sculpture. Dancers fit into the negative space that’s available space. In order to get pure movement in a museum setting in and of itself it seems we would have to 1) remove the art pieces, 2) get terribly intellectual audience that can tune out work (which is highly unlikely), or 3) make pieces that incorporate the already existing art. How are museums and galleries selecting dance to activate their spaces, and how does dance change when its context comes artistically charged with a particular point of view? Recently at the 2012 Whitney Biennial two dance works took place. Sarah Michelson and Michael Clark had the fourth floor galleries of the Whitney. The Whitney built a beautiful huge dance floor for the dancers and the audience was invited to come and watch, walk around and behind, see from different points of view. The choreographers were in residence for a few weeks and were rehearsing and mapping things that all culminated in a performance. It’s the first time I am aware that an entire floor of a museum was dedicated to a moving space for dance. (I’ve heard that the Tate in London has also presented dance like this). However, to embark on adding more Dance to museums they need more curators who know something about dance and who regularly go see work. It is important they educate themselves; they should have a real understanding of the field. The Whitney co-curator Elizabeth Sussman is in the field, she attends performances. How does dance placed in visual arts environments support the trend of the museum as a public gathering place? 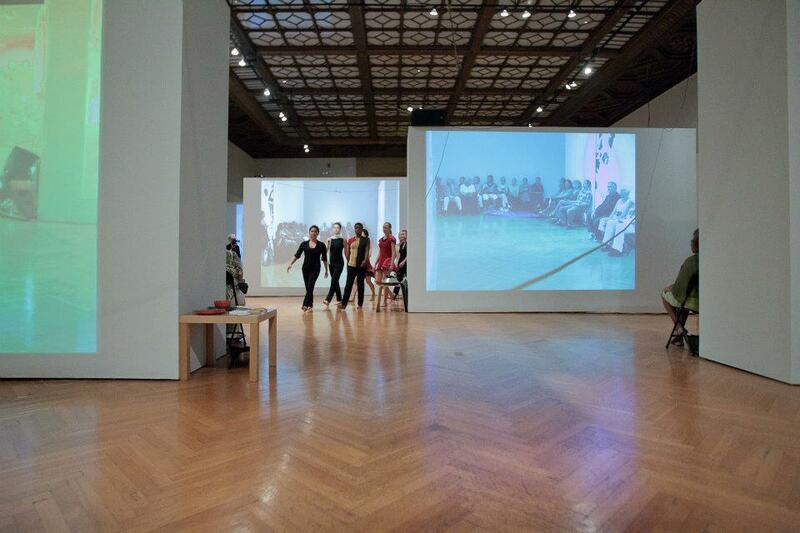 Similar to installation art, dance in the museum allows audience members to walk through or leave and come back to the performance – it allows for a physical experience versus sitting and watching. People watching while moving themselves can become a reciprocal situation. 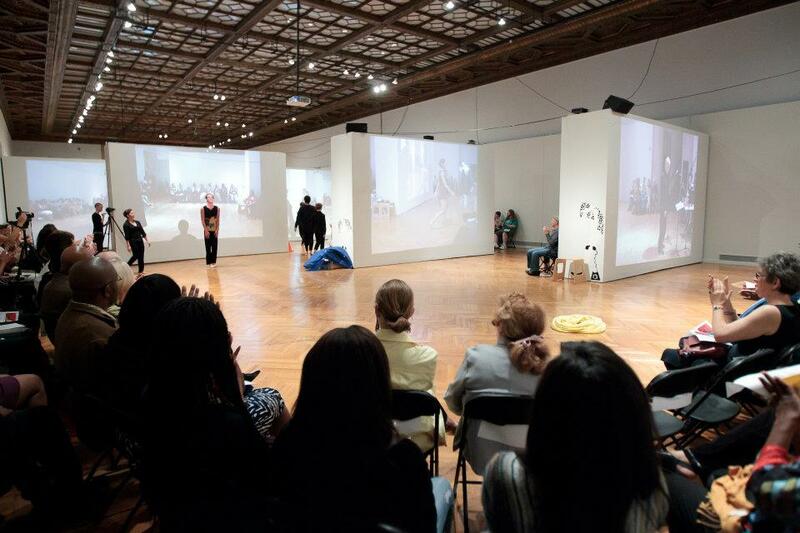 Dialogue is possible in these settings, dance does not necessarily respond to being watched, but viewers watching dance in the museum might change the focus and movements of certain steps for the performers. Human bodies as art is fascinating to people. If people didn’t know about dance and attend a typical dance performance they can feel held captive with a thought of “get me out of here!” if you present dance in a museum people can move around, can step away, are allowed as an audience member to make a choice – what to look at, to engage at all with the performance, if they are tired they can sit, get interested and come back to look again – it’s an open ended great idea. Molissa Fenley is a New York based choreographer and performer. Molissa formed Molissa Fenley and Dancers in 1977 and has since created over 75 dance works during her continuing career. Ms. Fenley’s work has been presented throughout the United States, South America, Europe, Australia, India, Indonesia, Japan, Singapore, Korea, Taiwan and Hong Kong. Her work has been commissioned by the American Dance Festival, the Brooklyn Academy of Music’s Next Wave Festival, the Dia Art Foundation, Jacob’s Pillow, Lincoln Center, the New National Theater of Tokyo, The National Institute of Performing Arts in Seoul, Korea, The Kitchen, Dance Theater Workshop, and many others. Both Cenotaph and State of Darkness were awarded a Bessie for Choreography in 1985 and 1988, respectively. 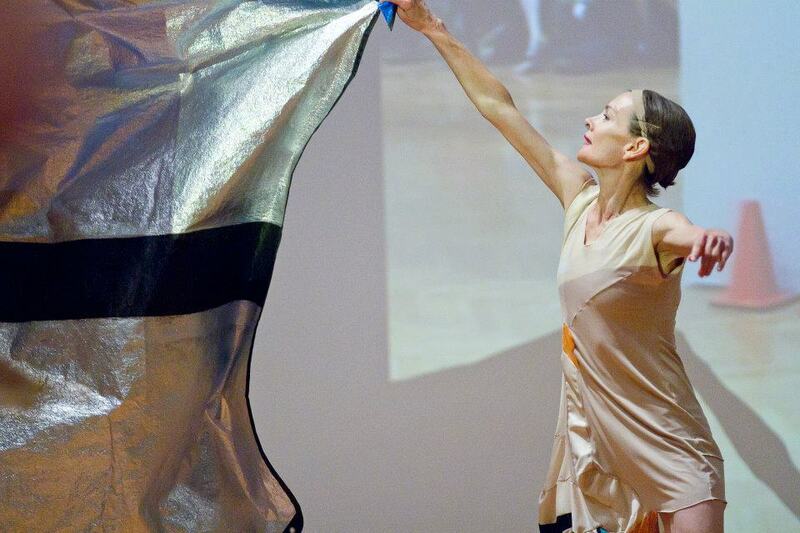 Molissa has been on the dance faculty as an Associate Professor of Dance at Mills College since 1999, in residence for the spring semesters only, and often teaches choreography at the Experimental Theater Wing of New York University. Molissa has also created numerous works on ballet and contemporary dance companies, most recently for the Pacific Northwest Ballet, the Seattle Dance Project and Robert Moses’ Kin, and also including the Ohio Ballet, the Australian Dance Theatre, the Deutsche Opera Ballet of Berlin, the National Ballet School of Canada, the Performing Dance Company at the University of Utah, Peter Boal, the Korea/Japan Performing Arts Exchange Association, and the Repertory Dance Theater, Salt Lake City. Bill T. Jones/Arnie Zane Dance Company, Elisa Monte and David Brown, Dance Alloy, Young Soon Kim Dance Company, Peggy Baker Dance Projects, Richard Move, Felicia Norton, Li Chiao-Ping and Paz Tanjuaquio have also performed her work. She is a Guggenheim Fellow, a Fellow of the American Academy in Rome, and a Master Artist of the Atlantic Center of the Arts. Recent awards include the American Masterpieces Initiative of the National Endowment for the Arts (2010) and the Mills College Sarlo Award for Excellence in Teaching (2011).